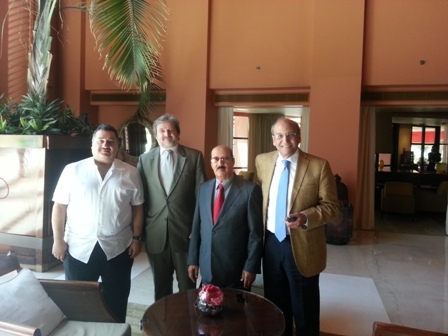 Cairo, March 31st - Serbian Ambassador Dragan Bisenic met owner of Bukhamseen group, Jawad Bukhamseen and his son and CEO of the company, Emad Bukhamseen. During the meeting, owners of the company informed Ambassador Bisenic about current development in activities of the Group ion Serbia and their further plans. Bukhamssen group is one of the leading companies of Arab world, ranged at 8th place among wealthiest companies with estimated capital of 8 bln USD.